Add a festive touch to your home with this Christmas candle holder range from Aromatize. 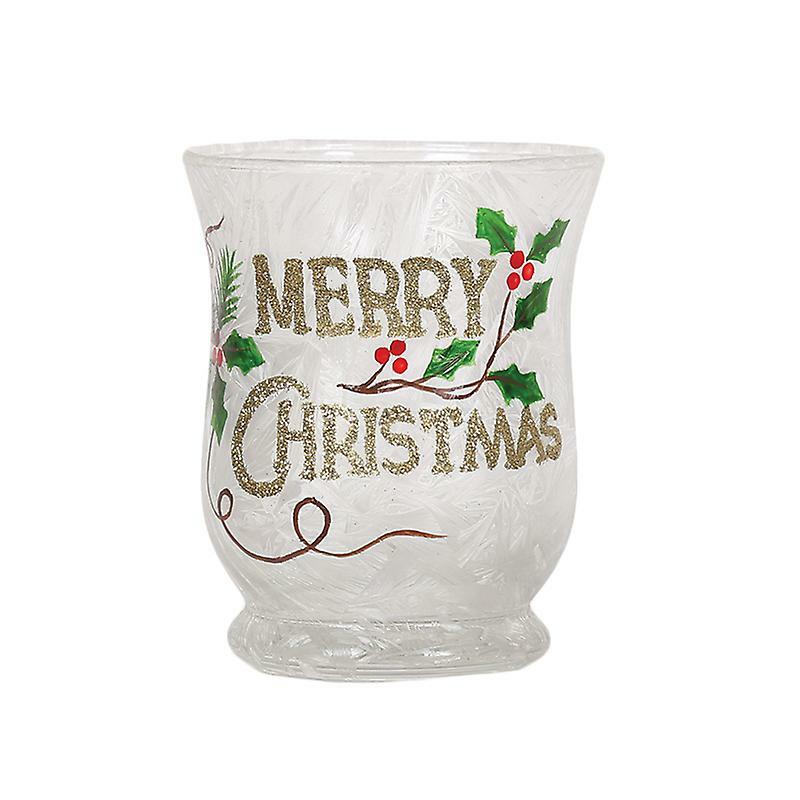 Glass hurricane candle holder, with a glittery text design which reads 'Merry Christmas', bordered by holly leaves. Measures approximately Dia8.8cm x H10.5cm. Wipe clean with a soft cloth. This product can become very hot - allow time to cool before attempting to touch or move. Comes in a plain box. Matching items and other designs available.